TrainingBeta is a site dedicated to training for climbing. We built this site because we wanted all of the best training resources in one place. We do a regular blog and podcast, and we have many climbing training programs that are easy to follow so you can just go into the gym and do your thing without thinking too much about it. If you have any questions, feel free to email us at info@trainingbeta.com or call us at 650-731-5615. Happy training! I’m a climber, a nutritionist, a podcast host, and an entrepreneur. And even though I’ll never be as strong as most 12-year-old climbers these days, I still love training to get stronger. We built this site to provide you (and me) with all the resources we need to climb our hardest. My husband, Seth, and I live in Boulder now after spending a couple years living out of our van and climbing all over the U.S.
I’m a climber, a software developer, and I live in Boulder, CO with Neely, my wife. Sometimes I like training and suffering on a hangboard more than I like climbing. 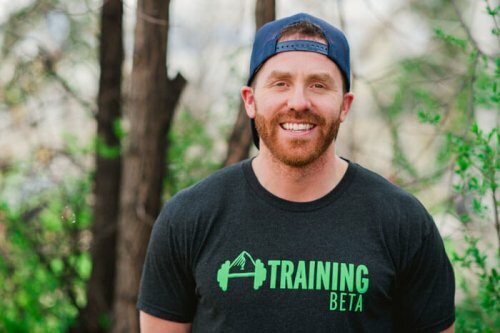 I’m the tech guy here, which means I basically make sure TrainingBeta.com doesn’t explode, I do some design work, and I work with Kris Peters on the training programs. Climbing Trainer Kris Peters wrote our Bouldering Strength and Power Program, our Route Climbing Training Program, our Finger Training Programs, and our 6-Week Power Endurance Program. 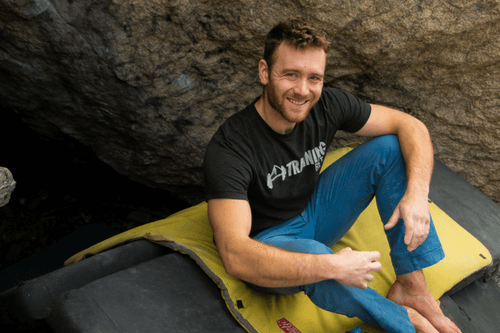 Originally from Massachusetts, Kris is one of the top climbing trainers in the U.S. and has worked with pro-level climbers, including Daniel Woods, Sasha DiGiulian, Nina Williams, Emily Harrington, Matt Segal, Matty Hong, and many others. 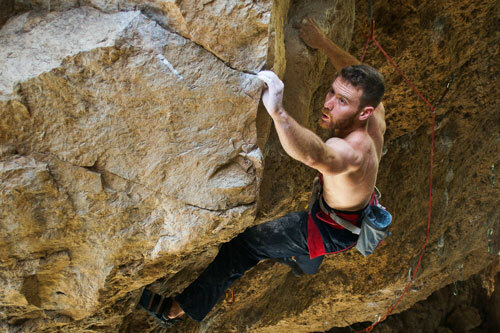 Matt is a 5.14a/V12 climber who has honed his training skills on himself and his clients. 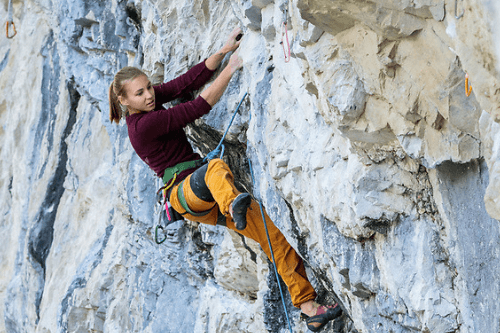 He will provide you with a climbing training program from anywhere in the world based on your goals, your abilities, the equipment you have, and any limitations you have with time or injuries. He does online training for climbers of all abilities, creating 4-week custom plans using the FitBot app. Matt is a boulderer and a sport climber living in Jackson, Wyoming, and sometimes in his van on the road. 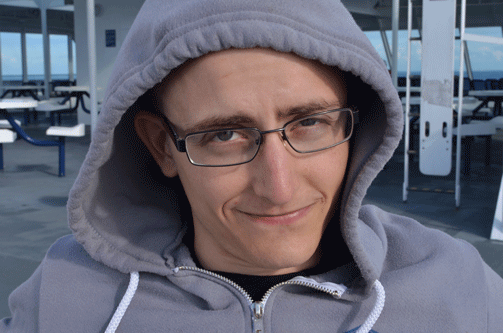 He’s responsible for most of the blog posts and social media posts for TrainingBeta. He’s constantly changing and tweaking the ways he trains as he learns new things. Getting to read all the articles that eventually get posted on the blog and Facebook is his favorite part of working for Training Beta and something that never gets old. 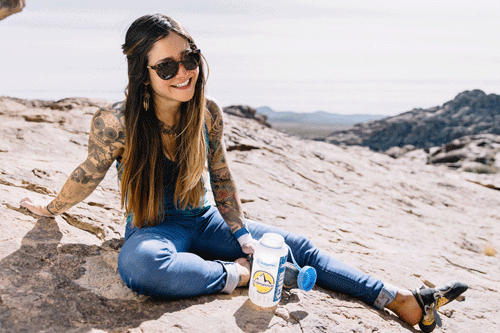 Shaina is a climber living in Las Vegas, Nevada. She creates all of our Instagram posts on Instagram @trainingbeta and provides creative feedback for us on the site and podcast. She has climbed all over the world, traveling with her boyfriend (and our good friend), Jonathan Siegrist. She became a solid 5.13- climber in only 4 years of climbing, so she knows a thing or two about training and projecting. Find her on Instagram at @shainasavoy. Natalie transcribes the podcast episodes for us. 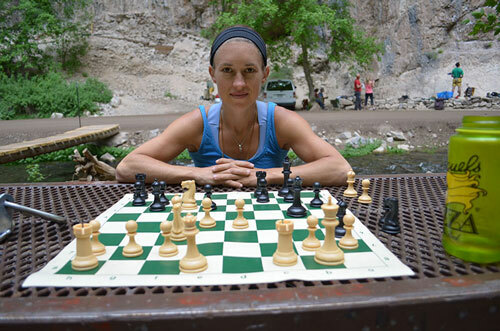 She taught middle and high school for over half a decade, but then decided it would be more enjoyable to become a full-time climber than attempt to reform the education system. She proofreads and edits climbing guidebooks on a freelance basis, and she puts those same grammar skills to use for us. Marina is a professional tattooer, recreational climber, and sometimes does podcast transcription for TrainingBeta episodes. She lives in a van and travels full time. She is currently on the Rifle-New River Gorge-Hueco Tanks circuit, living the dream. Need help with your climbing training? Head on over to our programs page to see which one is right for you.